The surprising allegations of the soft spoken, angel face and sports superstar, Tiger Woods has taken a different stroke, as the world continues to hear about his “incident” as a womanizer. What? 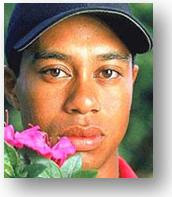 The lean and golf machine is a womanizer? And where did we miss the boat? Does this surprise you? Well, from an astrological point of view it should not, since his chart is quite clear of his inclinations. We have heard that he has seen prostitutes and waitresses, and who knows what else. But his stars certainly fit the picture. Vettius Valens goes on to explain that that his Saturn trine Venus will make the native promiscuous. Umm; Would 13 lovers make one promiscuous? I guess that would be somewhat relative to some. Liable to anger, proud and insubordinate? Does that explain her outburst? Of course it does, she ran after the guy with a nine iron, and it wasn’t with the intention of taking a practice swing in the middle of the night. What does the future behold for Tiger? His profected year falls under Cancer, and the Moon which is his Ruler for the year is in Sagittarius. Is this the beginning of stormy waters? His Moon is opposition to Mars, which is in his XII house of his profected year, and this tells us that a hidden enemy will besiege him and will want to hurt his work. His Moon in the VI house of his profected year augurs that he will make haste decision about in his work, and this will cause upset. This is not a good time for him having away from the tournaments. His X house profected year we see his honor, and it is in Aries, and Mars rules over Aries, and this means that much contention and lost will befall him. His Moon is in his third quarter, and this augurs he will lose a lot of his substance and wealth. Well, when we look at the atasyr, Venus will be conjunct his Mars between the month of February and March, and this, if he does not handle his affairs well, could mean the beginning of an ardent divorce. What her lawyers will demand from him will not come easy, and much delay will be seen, as far as the coming of a final settlement. So his divorce will probably take place some time in April 2011. When will Tiger return to the course? I do not see that this will take a big toll from his game, he is an excellent and competitive player, but this will only be possible if he can overcome his depression. Obama’s Solar Return Ascendant, sets the note as to what his desires and hopes are for the coming year. His Ascendant is in Sagittarius, and it comes from the XI House of Hope and friends, in his natal. So the hope of expansion, and short and rewarding trips will be on his agenda. E despues d’esto passa el gouierno a la V planeta, que es Mars, e gouiern(a) el V estado en los annos e es estado uaron complido e gouierna el nacid XV annos segund la de sus annos menores propios e contece-l en este tiempo durezas en su vito e ocasiones en el cuerpo e tristezas en el spiritu e comienca el cuerpo de abaxar-se e en lo demás aura a trabajar e fazer fechos que aura a larzar e e entremeter-se mucho de acucias por ganar, e lazra en ellos antes que llegue al tiempo de la muerte. And after this, (referring to the past paragraph), the governorship goes to the fifith planet, which is Mars, and governs the fifth state of the years of the native for fifteen year, according to the lesser years, and during these times, he will have difficult times, and occasionally is body will suffer, and he will have a sad spirit, and his body will feel tired, but he will work hard, and he will commence things which he should abandon, with the intention to make money, and all this will happen before his death. “The Sun distributing to itself and well figured produces brilliant acclamations and actions, alIiances with superiors and those who are greater, and unexpected benefits. And if it should also happen to be with benefics or should be witnessed by them, it introduces greater reputation and benefits. But lesser ones by night, or [the time] will become full of troubles, producing enmities and judgments or dreadful accusations. But if a malefic should also fall with it or testify, it bringson a diminishment of livelihood or reduction of reputation, and precarious travel abroad and enmity of the father, or danger and troubles with things”. His Sun is in the VII House, and in a night chart, so we can expect that he will have many troubles and will awaken open enemies, since he has his Saturn in the XII House, and he becomes his worst enemy. He will have a reduction of his reputation and he will travel much during the year, and will be well received in foreign lands, this is because of his year of revolution, since his Sun will be in the House of his joy, and aspecting his Ascendant. “The Moon handing over to Hermes indicates a time that is effectual and easily made right in relation to female persons and alliances, and especially if it should be configured with good stars;.”. His chart clearly has emphasis on money and his reputation concerning money, since Saturn is in his X house of Reuolutiones annorum. These concerns will commence during the last period of September, in which according to the Libra Ingress, (Imprimatur Stellarum – Libra ), the US economy will not be strong, and we will see the economical situation in the US be much graver. And if it should fall in the Revolution of the year, in an angle, it signifies good and dignity, and the best of the angles is the mid-coelum , which means Rulership or power. But Saturn is not strong in his Reuolutiones annorum, so my interpretation that he will retain that power, but will lose popularity and strength among the people. And having his VIII house in the MC, signifies death of his reputation and honor. I believe, since Mercury is strong in his X house, that he will seek the counsel of a financial person or accountant, or an astrologer. He commences his profected year in the Ascendant, which is in Aquarius, and Saturn is the Ruler of the Year in the XII cadent, retrograde and contrary to sect. And if he were (Saturn), in strange places, and receiving the aspect of another, he will make long travel and will receive benefits from it. Mars is joined to him, but he is not in a good position, so he will not achieve the benefits, during his travel, that entire year. And if he were born at night, this signifies that he will change from one situation to another, and he will change magistrate, and he will travel, and he will work hard, and will be disciplined and desire for women, and to fornicate and sickness will come to him, and he will be hostile to men, and it will cause heaviness and because of this they will seek to harm, and will be cut by iron, o bitten by a dog or from another animal, and he will become sick and his sickness will last 19 days. "But if the nativity is nocturnal, the native will be changed from one state to another and from one magistery to another; he will make journeys and will be pained by various hardships; he will do injustice to men and he will have quarrels with them; because of this troubles will happen to him, [as well as] the cut of a sword, the bite of a dog or other animal; or he will be made infirm for a space of 9, 15, or 19 days, after which he will recover." If he were to get sick, this would happen somewhere in November, but I would not be surprised if he is limping or having problems with his leg. We may also hear that his digestive system is not well during the month of March. If he is bitten, it may happen because of his dog. Throughout the year, he will have an excellent bill of health, some minor problems we most likely will not here of, such as some bile problems, and upper shoulder or back problems. Nevertheless, he will be well in health. Ali Aben Ragel VI Book has extremely interesting treatise on the Revolution of the Year, which provides some insights as to how the native will be during his year. And if you should find Mars in the same sign or in orientation to his sign by square or opposition, it signifies that he will have big fears, falls, wounds, scars, and hurt by fever, or burn, and this would be more so if Mars was in an angle or succedent, and he will fear travel and danger. Mars in his Reuolutiones annorum, is in an angle, and see’s his “original” house Virgo in the X. So open enemies will want him out of the White House, and will seek to harm the President during his term. Most likely we will hear for more attempts against his life. And it applies a square aspect to Saturn, in the X, which we find trine to his natal chart. Therefore, they both continue to see each other in the Reuolutiones annorum. Ali Aben Ragel addresses peregrine planets and he tells us to look at the origin of that planet in the natives house, and see where it falls in the Reuolutiones annorum, of his yearly profection. In other words, if his annual profection has a peregrine planet in it, look then to the Reuolutiones annorum, and see were it falls, and this is just as important as the Ascendant itself. President Obama’s Moon and Mars are both peregrine, in the V and VIII house, respectively, but it does not fall in his profected year. And when Saturn arrives in the Reuolutiones annorum, at the place of Mars, and he has testimony over the things we’ve said, it means that he will travel much, and it will be favorable for his siblings and friends and he will benefit from them, and they will follow is counsel , because their business will do well, and he will be frivolous, and they will speak badly of him. And when Jupiter arrives during the Reuolutiones annorum, in the same place from where it originated, it renews and confirms the goodness which it has in its origins, and it brings riches and gains which he does not expect. Jupiter is in Aquarius in the Ascendant, and in his Reuolutiones annorum, falls in the III House, the house of communication under the terms of Mars who is in Gemini. He will not be honest with the public, but this will have its consequences in the future. And if there was testimony in that place, he will have short travels, mptivated by his community or for a women, and if he has some power, the same will be diminished. He will receive more opposition by his party and it will be more difficult for him to get what he wants. He will continue to travel. And when Venus arrives during the revolution in the same place it originated, and has testimony for the year, his esteem will increase and self worth, and he will achieve power and he will renew those thing which was in his chart originally. Venus in the terms of Mars and in Cancer signifies lewdness and fickle passions. But he may also be changing his position about employees, or addressing topics about job lost, this will happen during the month of January or March. E quando Mercurios llegare en la reuolucion del anno al logar en que fue Mars en la rayz e amos ouieran testimonio en el anno, significa que aquel nacido annascara mentiras e falsedades e dira cosas que non fuemos nin acaecieron. And when Mercury arrives in the revolution of the year in the same place that Mars was in, and both have testimony in that year, it signifies that the native will say lies and false things, and will affirm to things that have never happened. Those he promised to help, associates or other countries will hear excuses and reasons as to why they have been unable to fulfill their expectations. He will present himself well, truthful and honest, but he will be deceitful. And if she were unfortunate, it will bring hardship, which will impede his work. The hardship will come to the people and the economical restraints that they will have, and this will be in great deal to the decisions he has made. The Moon in the II house, confirms that much will have to do with the economy. Some of his decisions will not be well received by his wife, and she will not agree with issues pertaining to the children. Most likely it will be she who will have back problems or the upper shoulders. It will not be a good year for him, what he will try to achieve during his travel will not be met. He will continue to lose popularity among the people, but will continue to communicate effectively throughout the year, but people will no longer believe in his word. This year he will receive a lot of threats, but he safe from all danger, but his enemies are many and he should be careful of the near future. His biggest hurdle..., the economy, especially at the end of September and beginning of October. The economy should get far worst than what we have seen. This article was originally written in Spanish, January 26, 2009 in Interpres Stellarum blog, which is intended more of a newsletter for my clients who subscribe to Interpres Stellarum. The original title is called “La Crónica de un Futuro Anunciado,” or The Chronicle of a Future, Announced I have added in this essay, The Ascension of Obama. I believe that this is but a short delineation of what can be expressed as to how the presidency will be seen. I am sure, there are many out there that have much more to say about this particular chart. I have added some new information, but I want to thank my friend Steven Birchfield, which without his guidance, I would not have completed this discourse. Any errors are my responsibility. The Ascension of President Barack Obama attracted a great amount of people than any other Presidential ascension. The atmosphere was loaded with emotion, joy and enthusiasm, for several obvious reasons. First, the first Afro-American that obtains the presidency of the United States, which brings us to a second point, the hope that the racial situation is going to change and that these changes incorporate greater social justice for the different ethnic and social classes. Third, an economic change that will put the United States in the correct economical course and stoping the increasing wave of unemployment, which at this moment harms the American nation. And, and not less important, the relation of the United States with other nations. Never in the history of the United States has so much hope, been put in a single man, as we have seen in President Barack Obama. The entire world, in its majority, is hopeful, that President Obama will achieve all that he has promised. It is interesting to note, that diverse divinatory practices, such as, Santería, Espiritismo, and many astrologers, have also expressed that this is the year, and that certainly, Obama will bring the wished changes. However, will he bring those changes? This essay, from an astrological point of view, has the intention to evaluate the ascent of President Obama, and reveal, what I understand is, indicated in the stars. In addition, I will make an analysis of various Presidents and will try to prove that the calculations made are accurate. For President Obama, I will use various Ingress Charts, his Solar Returns and his Ascension Chart to determine his length in power. You could also visit my various predictions here in Imprimatur Stellarum. I would like to clarify, that I am using only traditional methods, my astrological delineation, are based, solely on traditional studies that date from II Century AC., until XIII Century, medieval time. I do not use modern methods to reach the conclusion at which I arrive. 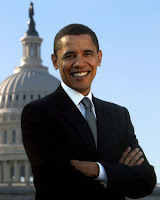 President Obama, oath was at 12:00 p.m. in Washington DC. Although he had to return to administer another oath, the Constitution of the United States says that the elected President will take power after the 20 of January, at 12:00 p.m. Therefore, the second oath, is not really taken into consideration, since the constitution makes way to his ascension. 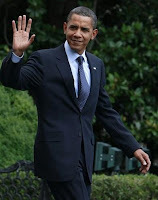 In the X House we have the Sun, which is also the significator of the President in Mundane Astrology, and he is placed in the figure of Aquarius, his detriment, and it is curious, because he is in opposition to President Obama’s sign, Leo. This is indication that he will do contrary to his nature. The Sun is conjunct Jupiter, which indicates that the native is intelligent, that he will be well esteemed, dominant, tyrannical, and according to Dorotheus, he will achieve high rank. Its year of profection is in House XII, and although Saturn is in Capricorn, it is contrary to his sect and it is retrograde, but this is an indication that he will be well known and will be put like king. The subjects that stand out during this cycle have to do with confinement, jails, hospitals, and hidden managements. We have seen as the subject of Guantánamo has been one of the first objectives that he has made, but: What happening with Guantánamo? This will happen when he becomes 50 years age, that is in 2011, when he is still President. It has also caught my attention that in his natal chart, Saturn is in Capricorn in the XII, trine Mars in Virgo in the VIII house, and in his ascension chart we have Saturn in Virgo in the V house trine Mars in Capricorn in the IX house. In both charts, Saturn is retrograde. The Part of Fortune is in Cancer 6 degress and 24 minutes, his exaltation Lord is Jupiter, which is in 18 degrees Capricorn and 40 minutes. This gives us 170 degrees. Ali Aben Ragel tells us to use a day, a month or a year. There is no mention of weeks, so do we assume that weeks are not used, or was it a mistake in the translation or an oversight. If we look at the distance between one sign and another, we are either looking at 6 days, 6 month, or 6 years. Well, we know it was much more than that. So I apply weeks to each degrees, and I come up with 170 weeks, his length of Presidency. He was assassinated in 148 weeks of his ascension. Note: POF is afflicted in his ascension chart, conjunct Mars, and Mars is in his VIII House natal, but POF is also in opposition by figure with Saturn and Jupiter. But Sahl also remains us that evil will be made much greater, and Mars being in Taurus, in his detriment, Masha’allah reminds us that malice will arise. Mars falls into the VII House of open enemies in the Ingress chart of 1963, and afflicts the Ascendant and the Moon by opposition. Mashá . allah tells us about the luminaries representing the king, the Sun by day and the Moon by night, the Ingress is a nocturnal chart and the Moon is afflicted by Mars by opposition. He was sworn on January 20, 1977 and his Part of Fortune is in Taurus 28 degrees and 11 minutes, his Lord of exaltation is the Moon, which is in 15 degrees Aquarius and 00 minutes, which gives me a total of 96 degrees, and POF is 4 figures away. President Carter was only President for 4 years or 4 figures. Sworn in on January 20, 1981 and his Part of Fortune is in 18 degrees Scorpio 35,he has no Lord of exaltation but his ruler is Mars, and Mars is in 16 degrees Aquarius 21 minutes. He is four figures away. His first term was 4 years. Note: During his first term there was an assassination attempt, March 30,1981, his POF was afflicted by Mars, square separating. POF is in the bounds of Mercury and is conjunct Mars. Luminaries are afflicted in the Ingress Chart 1981, Mars is conjunct Sun in Aries, and Moon is conjunct Saturn in Libra. Jupiter is besieged by Saturn in it exaltation and by the Moon. Was this the planet that saved his life? Was it the omen forecasted by the “astrologer” that he should have a precautious year? Was sworn in on January 20, 1989, and his Part of Fortune is in 29 degrees Libra and 58 minutes, and his Lord of Exaltation is Saturn. His POF is four figures away from his Exaltation Ruler, Saturn, his term was only 4 years. Note: POF is not afflicted, but is cadent, and in the bounds of Mars, his administration was known to have commenced the Panama war, and the Persian Gulf War. Was sworn in January 20, 1993, and his Part of Fortune is in 20 degrees Aries 38 minutes, his Lord of Exaltation is the Sun, and he is in 00 degrees Aquarius 39 minutes, and they are 3 figures away. His first term was 4 years, but we can apply the (+ / - ) 3 degree rule, and we would have 4 figures away. Note: His POF is not afflicted, but it is interesting to note that his Mars in his Ascension chart is in the III House, in Cancer, and during his first term, he had the Travelgate controversy, which is the III House signification. Three degrees would give us either 3 days, 3 month or three years. Well in April, during Obama while Obama was still in France a Syrian man with fake press credentials was arrested in Turkey for attempts to plan an assassination. This was exactly 3 month after the inaugural. His profected year will be Mars, and his VIII House will be ruled by Mars, and Mars in his chart is his Killing Planet. And his Mars, which is in the VIII house of his natal, is now in the Ascendant of his Solar Return, in Cancer. Mercury, which was in the VII House of open enemies, is now aspecting Mars in sextil by the III house in his Solar Return. But we also have Saturn which is square to Mars by figure, and they will apply before each leaves their figure in the chart in there Solar Return. Concern of a family member will arise during this year. But even if we were to take the luminaries as significator of the king, and since the chart is nocturnal, the Moon is conjunct Saturn, and the Moon is Lord of the X house, the king. Jupiter has no testimony with Libra, for she is in opposition in Aries. The opposition signifies enemies, who have rich lands, buildings, stock market or large investments and are looking after their own interest. In the case of President Barack Obama, if we use the rules that Abu Masar provides us with, in his “On Historical Astrology,” he says we must watch the moment of ascent of President Obama, and as Saturn is Eastern of the Sun, we add the degrees of Saturn to the Sun and added the degrees of the Sun to Jupiter. A year for each 30 degrees occurs, which gives about 133 degrees in total. Since Jupiter is afflicted, we divide the result between two, and it approximately gives about to 2 years and 3 month. It is a year in which precaution should be taken, between the mid 2011 and April of 2012. My intention of this discourse is to apply traditional methods that will help validate our studies in the art of predicitions. By no means am I predicting or do I want his death, God protect him, but to delineate the course of the following years in his life, and that he may be careful in his intentions and actions. JFK’s ascension was January 20, 1961, at 12:00 PM, Washington, D.C.
Those studious of the art, will apply the operation of the elements of the stars accordingly, and will be able to foretell the events that are about to happen in the future. I am, but a neophyte in astrology, still eagerly learning the application of the wondrous science. Others may be impervious of the teaching of the wise, but why must we attempt to redefine this knowledge if we have yet to comprehend what has been left to us. “Nos habemus unam Scientiam Mathematicam, que docet nos in rerum causis causationem causarum considerare.” – We have one Mathematical Science, which teaches us to consider the causation of causes, in the causes of things. These causes have already been defined, and yet I am sure, there is still more information which we have yet to reveal. But we must attempt to apply what we do have, and if we fail, just try again. But Capricorn also rules, according to Masha’allah; The South. According to Kusyar Ibn Labban: The East and South. "India, Ethiopia, Makran, Sind toward Multan and toward Oman, al Ahwaz, and the country of Kabul and Ghur." Capricorn also rules over: India, Chorassan, Circan, Maraccan, Punjab, Afghanistan, Thrace, Macedonia, Morea, Illyria, Albania, Bosnia, Bulgaria, Greece, Hesse, S.W. Saxony, Styria, Romandiola, Mecklenberg, Mexico, Lithuania, Orkney Islands. The Lunar Eclipse should not have a direct effect on the US, but it is interesting to note that it falls on the MC of the 2009 Ingress Chart, and Saturn is in the VI House. I believe that we will see a considerable loss of jobs, or issues pertaining to jobs or health will arise considerably. The incursion of soldiers or a rise in criminal acts can be expected in these regions. The Moon is conjunct Vega; Public disgrace, probably through forgery, loss through writings, some ill-health, success in business, gain through an annuity or pension. Since this is falling on the MC, which represents the Prime Minister of Canada, or President Obama, public disgrace may be around the corner, during mid July or are we may be hearing of ill-health during this month. Saturn is the ruler of the Lunar Eclipse, and bestow; Coldness, he declares continued diseases, disturbance of the humours, fluxes, banishment, poverty, miseries, lamentation, vain fevers, scarcity of cattle, foggy weather, thick clouds, much darkness, abundant rain, bitter tempest from the sea, shipwrecks,. Violent inundations and corruption of the waters, on the earth there will be scarcity of grain and fruits. The Lunar Eclipse will last one hour, so we will see the effects within the 14 to the 18 day of having experienced the eclipse. 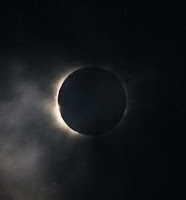 On July 22, we will have a total Solar Eclipse, which will have a path that extends across India, China, a handful of Japanese islands and the South Pacific Ocean. The Moon passes through perigree several hours earlier, which tends to stimulate earthquakes. Other countires are; Scotland, Holland, Zealand, N and W. Africa, Isle of Mauritius, Paraguay. Are we seeing an outbreak of another swine flu, or another type of venereal disease that will take place within the next 2 to 3 years. The Solar Eclipse last about four minutes, so according to the ancients, its 4 years. We should start seeing the effects, during the second year, 2011. Fixed Stars and Constellations in Astrology, Vivian E. Robson, 1923]. What has happen in the last few weeks. Well we did not see the stock market crash, bad prediction on my part, but that happens when you look at the wrong chart. The Chavez handshake and exchange of smiles stirred up some concerns, and bowing to his King of Saudi Arabia, and agreeing to provide nuclear technology, sure lets us see his ties with his allies. Sure enough, unemployment is still on the rise, and no indication that it will slow down. Over the next few weeks, General Motors is expected to reach anothermilestone in its storied 101-year history: bankruptcy. Mexico will have a terrible year, women will be the one who will most suffer, and the government will have a hard time communicating with the people. Death of many children, the people will feel abandoned by the government. This is why I have decided to change the name of the blog page to Imprimatur Stellarum, “So it is written in the stars”. Are we at the brink of an Apocalypse? For centuries, man has suffered from pestilence and famine, but nothing has been more devastating than war among men. Far from reaching a point of Apocalypse, and then maybe, not too far, but for other reasons, the subject on pestilence and famine has awakened an interest in many astrologers because of the swine flu in Mexico. Although we may have various ways of approaching, from astrological point of view, we know that the ancient’s sages have written down, how to foretell the arrival of such events. I am sure many would prefer to think that God has sent down his rage upon man for his sin’s and wickedness behavior, so was the thought of many church goers that need justify what has already been written in the stars. 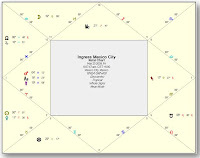 The swine flu that has occurred in Mexico can be first looked at, by reviewing the 2009 Ingress chart for Mexico City. Therefore, the initial chart already announces that illness will come to the people of Mexico. “Determine the Ascendant of the Year and the Ascendant of the conjunction or the opposition which is produced prior to the entrance of the Sun in Aries. Then, if these two Ascendants and the Moon were free from malefic and fortunate and the luminaries were oriented to the ruler, or to the luminaries that are the Ruler of time, it means that this year will be free of popular sickness, and other things. The Ascendant of the year is in Pisces, and Jupiter in unfortunate and weak in the XII house. The luminaries; Moon is in the XI house in his sect, but in an earthly sign Capricorn, which is her detriment. The Sun is in his exaltation, in the II house, but he is out of sect, so he loses strength. The ruler of the Ascendant, Jupiter, nor the ruler of time, Sun, have aspect among them. So we can conclude by looking at the first chart, that they will suffer an epidemic, however, since Jupiter is in his own terms, and in his house, we could conclude that it will not be of major proportion. Therefore, we then proceed to look at the syzygy Moon, which occurred on March 10, 2009, New Moon in Virgo and the Moon is in conjunction to Saturn, and in opposition to the Sun in Pisces. The Ruler of the Ascendant is Libra, Venus is in the VII house, Aries, and in opposition to the Ascendant. He does not aspect the luminaries, once again, announcing the epidemic and death among the people. It is interesting to note that the signs of the swine flu are; similar to that of the regular flu, including fever [Venus in Aries], (usually over 38.5 degrees C or 101 degrees F), runny or stuffy nose, cough, sore throat, aching body, headache, chills, fatigue, diarrhea, [Moon and Saturn in Virgo] and vomiting. We already know that the outbreak was reported late march, according to various sources. Can we determine the outbreak astrologically? Yes, when both luminaries became conjunct, the New Moon. This occurred on March 26, 2009, at the end of March when it was reported. Will this be the worse? I believe more death will come to the Mexican people, due to bad weather, such as rain and floods during a later part of the year.